Following the Screening of Broken on All Sides, an award-winning documentary about the causes of mass incarceration in the U.S. (and how systemic racism impacts criminal justice, with ways to change the system), the group was formed to address issues of mass incarceration and racism in the USA and has been meeting for the past year. Members of the group reflect a diverse population regarding religion and race/ethnicity. Recently, we've become engaged in learning about local organizations that work with issues of incarceration and have participated in actions we feel are appropriate to us individually and collectively. We welcome you to join the conversation. For more information, please contact Libby Harman, Lynne Iser or Susan Windle. What Does it Mean to be White in a Multiracial World? Sunday, May 3, 2015 4:00 – 6:00 p.m.
How might being White shape one's behavior in ways they are unaware of? How can White people be allies in addressing racism, both within themselves and in the world? This will be an informal and safe environment to grapple with this challenging issue. We will be focusing on Whiteness and participants of all races are welcome! Workshop facilitated by Ali Michael, Ph.D., a Mishkan Shalom member and Director of P-12 at the Center for the Study of Race and Equity in Education. She is the author of the recently released book: RAISING RACE QUESTIONS, Whiteness & Inquiry in Education. This workshop was originally scheduled for March 1st, but was cancelled due to snow. Download and share program flyer. Join Teya Sepinuck, Founder and Artistic Director of Theatre of Witness, for an inspiring multi-media program of films, readings and life stories from her work creating original testimonial theater with those whose stories haven’t been heard in society. For the past 29 years, Teya has created Theatre of Witness productions in the U.S., Poland and Northern Ireland with prisoners and their families, ex-combatants, victims and survivors of war, refugees, asylum seekers and those affected by inner-city violence, poverty and homelessness. Teya will speak personally about the power of bearing witness and using personal and collective story to inspire healing and peace-building, both for the performers as well as audiences. Download program flyer to circulate and share. To learn more, visit www.theaterofwitness.org. Our speakers will be Pat Albright, Phoebe Jones and Shandre Delaney, mother of Carrington Keys, a member of the Dallas 6. The Dallas 6 are whistle-blowing prisoners of SCI Dallas PA who are being tried on riot charges for speaking up against inhumane conditions in solitary confinement. These men raise important issues regarding abuse, torture, the use of solitary confinement, the right to report without retaliation, and the "justice" of the justice system. The Mishkan New Jim Crow Study-Action group is an interfaith group that has been meeting for about a year, with the intention of studying the issues surrounding mass incarceration and engaging in actions that feel appropriate to us individually and collectively. In this case, we are also seeking funds to help with Dallas 6 legal fees. DONATION Requested: Donation basket passed & money is split between speaker & Mishkan. This past year, the Mishkan Shalom New Jim Crow Study/Action Group has been learning about mass incarceration and its impact on families and individuals, including voting rights for returning citizens. To expand public awareness of this important issue, as well as encourage voter registration and participation there will be a BLOC Party Rally, on September 27th, in Germantown’s Historic Vernon Park. The Rally will provide information about the rights of Returning Citizens and will register people to vote while also providing entertainment and family-friendly activities. See the B.L.O.C. Party Rally flyer for details. The BLOC (Build, Lobby, Organize, Campaign) Party Rally -- the first large event to establish and unite Returning Citizens and their supporters in Philadelphia -- is being organized by The Center for Returning Citizens (TCRC), which is composed of formerly incarcerated citizens who assist individuals who are re-entering society to make a successful transition; and Coalition Against Mass Incarceration (CAMI) -- a new coalition of organizations and concerned citizens formed to address and transform this reality. There are 300,000 residents of the Philadelphia who have been formerly incarcerated and who are eligible to vote; however, a large majority refrain from voting. The power that these 300,000 Returning Citizens in Philadelphia can amass as a unified BLOC is undeniable. TCRC and CAMI are working to bring their issues to the forefront and organize and leverage their voting power. To learn more, visit The Center for Returning Citizens website or contact Mishkan Board Representative for Tikkun Olam, Lynne Iser. 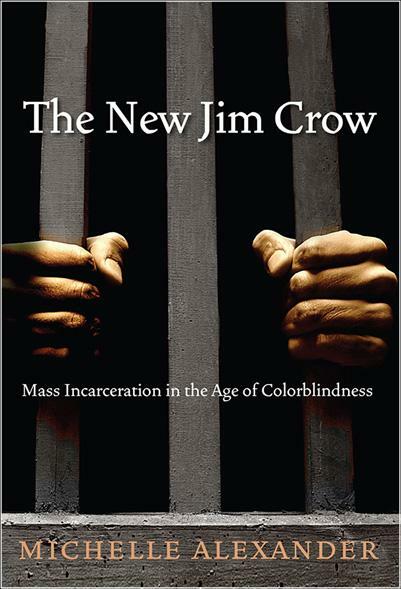 Sundays, February 16, March 2, 16, 30 at 3:00 p.m.
As a follow-up to the Broken On All Sides film screening and panel discussion, Mishkan Shalom is hosting a book discussion and study action of The New Jim Crow by Michelle Alexander. Open to the public; free will offering. For more information, please contact Jill Saull. Mishkan Shalom was proud to present a full weekend of programs in honor of Rev. Martin Luther King’s work. These events were in keeping with our mission to work with other people of faith to repair the world in justice and peace, as Jewish tradition teaches us not only to do justice, but to actively pursue it. Hosted by Lance & Mary Laver, joining us for this potluck dinner and special program were organizers and immigrant activists from the New Sanctuary Movement. We learned about developments in Philadelphia challenging local and national anti-immigrant policies and how it relates to the work of the Reverend Martin Luther King, Jr. The New Sanctuary Movement of Philadelphia is an interfaith, multicultural immigrants’ rights coalition, building alliances across faith, ethnicity and class in order to give voice to immigration injustices and enact policies that reflect values of hospitality, justice and dignity. Hawa Salih is a refugee from Darfur who is a human rights activists and defender of women -- in Sudan and internationally. She has just obtained asylum in the US and received the 2012 International Woman of Courage Award, which is what brought her to the US by the State Department. She spoke on the continuing genocide in Darfur and on the abuse of women. Hillary Rodham Clinton presents Hawa with the award which can be seen in this video. Broken on All Sides is an award-winning documentary about the causes of mass incarceration in the US, how systemic racism impacts criminal justice and ways to change the system. As a follow-up to last year's Heschel-King Festival, this Martin Luther King Day, we reflected on what Dr. King would be doing about one of the largest civil rights issues of our time, mass incarceration. The evening included a screening of the 68-minute film, followed by a panel discussion moderated by the filmmaker, Matt Pillischer. Matt and his wife, Karen, a Consulting Producer on the film, are new members of Mishkan Shalom. Networking with co-sponsoring organizations, tabling in the Heschel-King Room, followed the program. For detailed flyer, click here. This training provided an opportunity for something different to do on MLK Day and also to get more involved in POWER and systemic change for the rest of the year. A referendum on the May ballot could extend living wages to thousands of Philadelphians. In November, PA will make a choice for governor that will shape our chance to win a full, fair funding formula for our schools. With smart civic engagement tactics and the power of our relationships, we can make a serious difference in these elections and pave the way to justice in our city. On Martin Luther King Day, we honored Dr. King's commitment to systemic change by planning how we would reach and turn out voters in 2014. We learned how voter engagement builds long-term power and what kinds of contacts with voters are most effective. We planned how congregations could participate in the campaign and made decisions on collective goals for voter engagement and where to focus our efforts.